Astrobiologist Michael Russell, Co-I of the NASA Astrobiology Institute Icy World’s Team at NASA’s Jet Propulsion Laboratory, and his colleagues suggest that where an icy crust and a hidden ocean meet in a frozen world such as Europa, two sources of the building blocks of life could join together and potentially support the evolution of life. 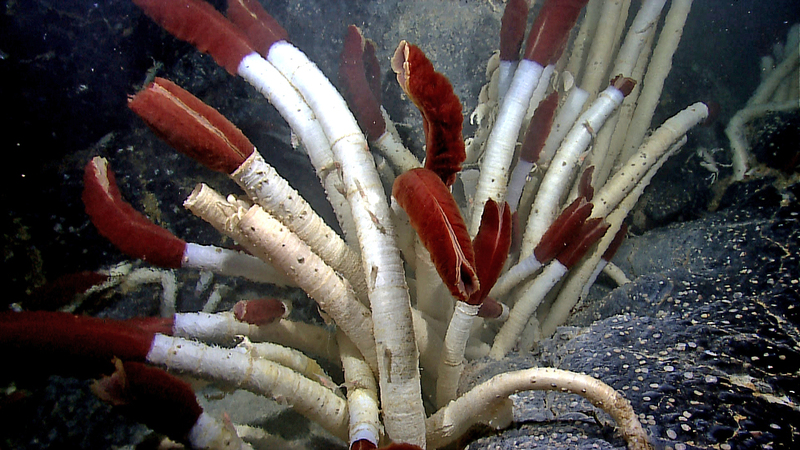 At the underside of Europa’s icy crust, they suggest that a shallow biosphere–a network of ecosystems–can form. 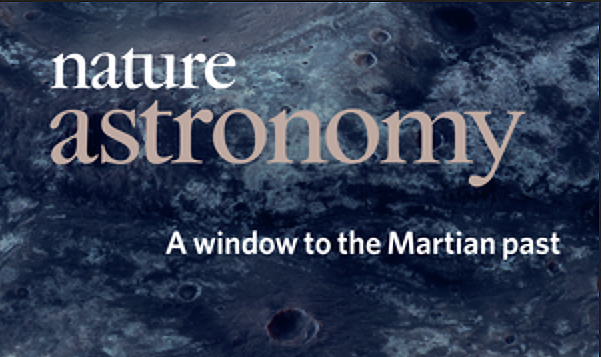 The feature story by Charles Q. Choi is published in Astrobiology Magazine. The research paper, “The Possible Emergence of Life and Differentiation of a Shallow Biosphere on Irradiated Icy Worlds: The Example of Europa” is published in Astrobiology. 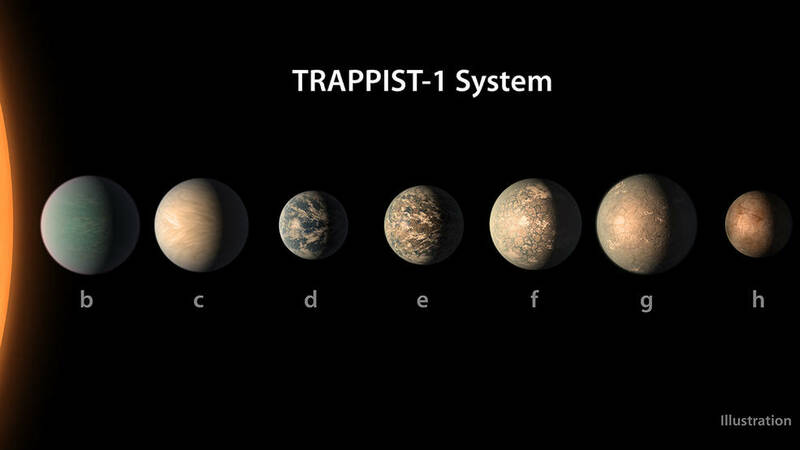 The seven Earth-size planets of TRAPPIST-1 are all mostly made of rock, with some having the potential to hold more water than Earth, according to a new study published in the journal Astronomy and Astrophysic. The planets’ densities, now known much more precisely than before, suggest that some planets could have up to 5 percent of their mass in water — which is 250 times more than the oceans on Earth. 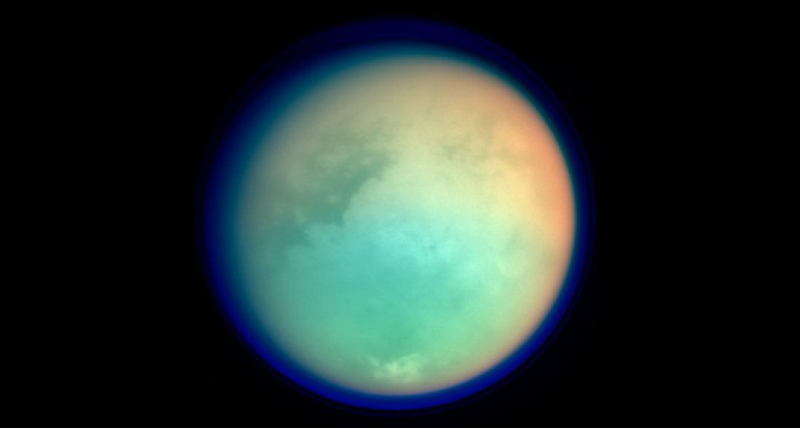 NASA researchers have confirmed the existence in Titan’s atmosphere of vinyl cyanide, which is an organic compound that could potentially provide the cellular membranes for microbial life to form in Titan’s vast methane oceans. If true, it could prove to us that life can flourish without the ubiquitous HO. The full story is available at Astrobiology Magazine. The Goddard Center for Astrobiology’s research paper, “ALMA detection and astrobiological potential of vinyl cyanide on Titan” is published in Science Advances. 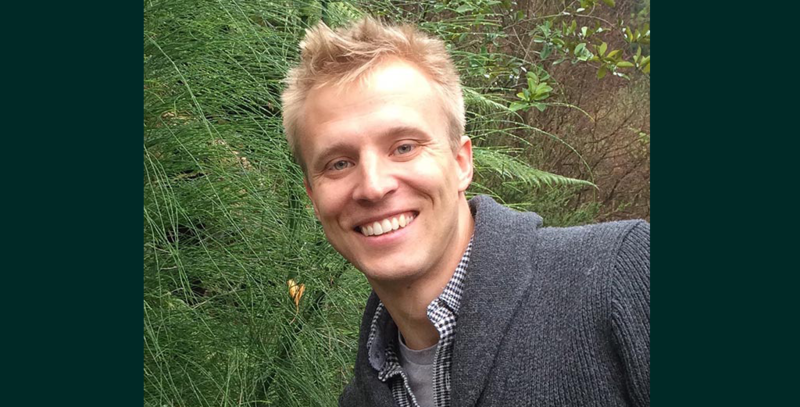 Noah Planavsky, Assistant Professor of Geology and Geophysics at Yale University and a member of the NASA Astrobiology Institute teams based at UC Riverside, MIT, and the Virtual Planetary Laboratory, will be receiving the F. W. Clarke Medal this August at the 2018 Goldschmidt Conference.The medal is awarded each to year to an early-career scientist in recognition for an outstanding contribution to geochemistry or cosmochemistry, published as a paper or series of papers. Planavsky is recognized for his work on mid-Proterozoic oxygen levels, as defined by his novel application of the chromium (Cr) isotope proxy. His previous honors include the 2016 Packard Fellowship for Science and Engineering and the 2016 Alfred P. Sloan Fellowship in Ocean Sciences. He was selected in 2008 for the Lewis and Clark Fund, with results from his field research later published in Nature and PNAS. Planavsky is a PI for the NASA Exobiology and Evolutionary Biology program and an advisor for the NASA Astrobiology Postdoctoral Program. More information about Noah Planavsky’s work with the Yale Metal Geochemistry Center can be found at their website. More information on the F. W. Clarke Award is available through the Geochemical Society. Janice Bishop, Senior Research Scientist at the SETI Institute and member of the Changing Planetary Environments and Fingerprints of Life Team of the NASA Astrobiology Institute, has developed a new climate model for Mars that may explain how surface clay minerals at regions such as Mawrth Vallis formed— rocks that would be geochemically created by an early presence of warm, liquid water. While previous climate models could not account for such formations, the SETI Institute team’s new model suggests that the cold early climate of Mars may have been interrupted by sporadic short-term bursts of warmer, wetter environments to create these surface clays. The research is published in Nature Astronomy, and is featured on the cover of the March 2018 issue. The paper can also be viewed as an E-print. A science news story is available at the SETI Institute. NASA’s Science Mission Directorate (SMD) has announced the release of its annual omnibus solicitation for basic and applied research, Research Opportunities in Space and Earth Science (ROSES) 2018 at http://solicitation.nasaprs.com/ROSES2018. ROSES is an omnibus solicitation, with many individual program elements, each with its own due dates and topics. Table 2 and Table 3 of the NASA Research Announcement (NRA) provide proposal due dates and hyperlinks to descriptions of the solicited program elements in the Appendices of this NRA. The 2018 International Summer School in Astrobiology program, Biomarkers: Signs of Life Through Space and Time, will be held at the summer campus of the Universidad Internacional Menéndez Pelayo (UIMP), Palacio de la Magdalena, Santander, Spain from June 25-29, 2018. Applications are due March 16, 2018 at 9PM PST. During the week-long course, students will be able to participate in lectures and discussions around the theme, prepare and present group projects, and take part in an excursion to a local, relevant geological site near Santander. For further information, including how to apply, visit: https://nai.nasa.gov/funding-and-careers/conferences-and-schools/international-summer-school/2018-international-summer-school-astrobiology/. The 3rd in a series of Ocean Worlds meetings takes place May 21-24, 2018 in Houston, Texas and will focus on the potential for silicate-water interactions to occur on Ocean Worlds beyond Earth, from a multi-disciplinary and inter-disciplinary perspective. As with past Ocean Worlds meetings, a primary motivation is to engender a cross-fertilization of ideas and expertise by soliciting contributions from both the Ocean Sciences and Planetary Sciences communities. Consequently, contributions are invited that address any aspects of this broad water-rock interaction theme, across the Planetary and Ocean Science fields, including geophysics, hydrogeology, geochemistry and microbiology. Abstract Submission Deadline Extended to March 14. The NASA Astrobiology Institute presents a new podcast! Dr. Jim Green, Director of the NASA Planetary Sciences Division sits down with Dr. Penny Boston, Director of the NASA Astrobiology Institute, to discuss astrobiology within the planetary sciences at NASA. Australia and New Zealand are hot spots for astrobiology, with ongoing research into the origin of life and upcoming events this summer. The Astrobiology Australasia Meeting 2018 (AAM 2018), organized by the New Zealand Astrobiology Network (NZAN) and the Australian Centre for Astrobiology (ACA), will be held June 25-26, 2018 in Rotorua, New Zealand, with abstracts due April 30. More information on the meeting is available at http://astrobiology.nz/aam2018. 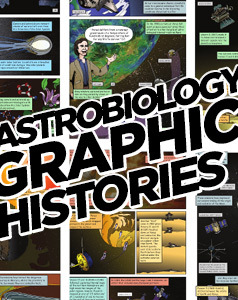 As a part of AAM2018, the ACA is gearing up for another Astrobiology Grand Tour. The July 2-11, 2018 trip guides participants through key sites in Western Australia, providing a unique opportunity to swim among stromatolites in Shark Bay, camp in Karijini National Park, examine ancient fossilized evidence of life in Pilbara Craton, and more. 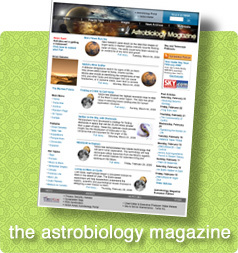 More details on the ACA and the research happening in Australia are highlighted at the Astrobiology at NASA website. A remarkable biodiversity exists on Earth. When many species are competing for the same finite resource, a theory called competitive exclusion suggests one species will outperform the others and drive them to extinction, limiting biodiversity. But this isn’t what we observe in nature – a phenomenon known as the diversity paradox. 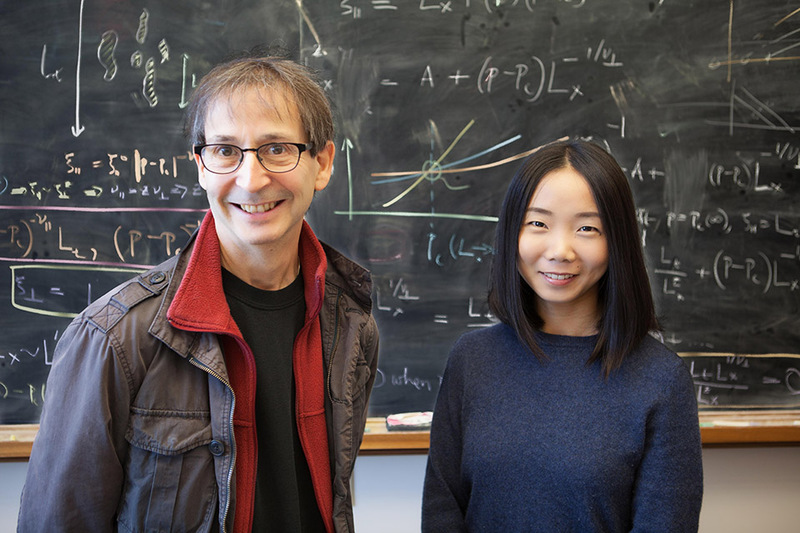 Chi Xue, graduate student in physics at the University of Illinois at Urbana–Champaign (UIUC), and Nigel Goldenfeld, Swanlund professor in physics at UIUC and PI of the NASA Astrobiology Institute based at UIUC, have developed a stochastic model that accounts for multiple factors observed in ecosystems, including competition among species and simultaneous predation on the competing species. Their results reveal a coevolutionary microbial ‘arms race’ that may yield a possible solution to the diversity paradox. The paper, “Coevolution Maintains Diversity in the Stochastic ‘Kill the Winner’ Model” is published in Physics Review Letters. A press release is available through the Carl R. Woese Institute for Genomic Biology at the University of Illinois at Urbana-Champaign. 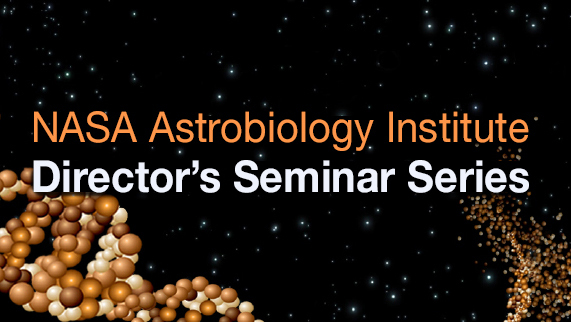 On January 16, 2018, Dr. Jim Green, Director of NASA’s Planetary Science Division, joined the NASA Astrobiology Institute to present the latest happenings in NASA Planetary Science, providing an overview of upcoming missions and activities related to astrobiology. A recording of the seminar is available to watch. Composite image sources: Creative Commons, NASA. In a recent paper published in Astrobiology, Kenneth Stedman, professor of biology at Portland State University and Chair of the Astrobiology Virus Focus Group supported by the NASA Astrobiology Institute, and his colleagues point to the significance of viruses in the evolution of life on Earth, making a case for studying viruses in space and the role viruses might play as biomarkers in the search for life beyond our planet. “Astrovirology: Viruses at Large in the Universe” provides a comprehensive review of virology and the state of astrovirology, and aims to inspire stronger integration of virus research in the future of astrobiology. A press release is available through Portland State University. SIMS analysis of Primaevifilum amoenum, an Apex chert microfossil found in Western Australia, is interpreted to be a methane-consuming γ-Proteobacterium. Source: J.W. Schopf, UCLA. J. William Schopf, professor of paleobiology at the University of California, Los Angeles (UCLA), with scientists at UCLA and the NASA Astrobiology Institute (NAI) team at the University of Wisconsin-Madison, teamed up with John Valley, professor of geoscience at UW-Madison and member of NAI’s UW-Madison team, to analyze eleven species of microscopic fossils first discovered in Western Australia in 1993. Their analysis revealed a diversity of microbes that place the possible emergence of life on Earth at around 4 billion years ago—earlier than previously assumed. 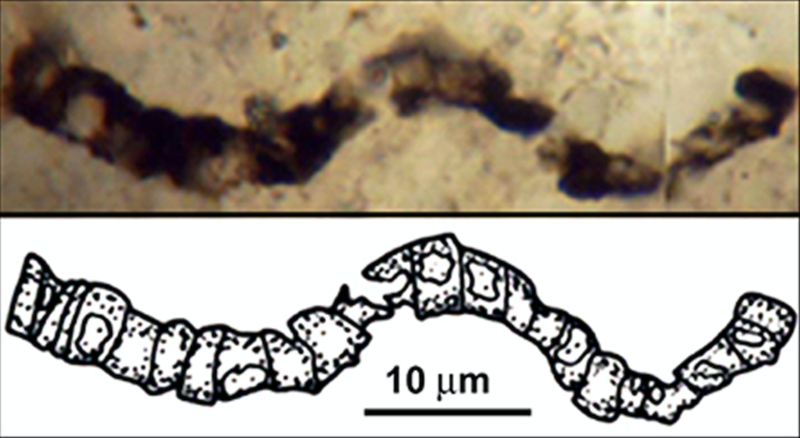 The study, “SIMS analyses of the oldest known assemblage of microfossils document their taxon-correlated carbon isotope compositions” is published in the Proceedings of the National Academy of Sciences. The deadlines for these funding opportunities for travel, research, and collaboration in astrobiology are approaching!